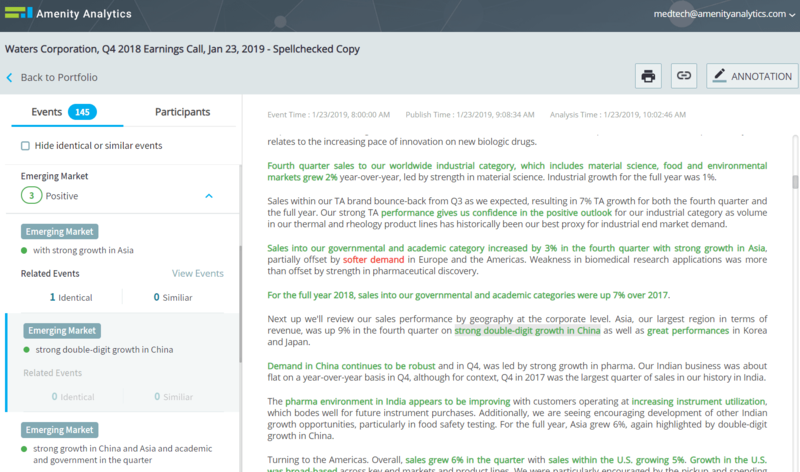 As earnings season kicks into high gear, one of the key trends we are tracking on the Amenity Viewer text analytics platform is corporate sentiment regarding the macro and trade environment in China. More specifically, we have been tracking the MedTech sector’s position as the lone beacon of strength as weak macro and micro data points regarding China hit every day. We first identified MedTech as an outlier in our write-up on U.S. vs China Trade analysis. Our analysis was then supported by bullish commentary at the JP Morgan Healthcare Conference two weeks ago. Waters’ earnings call this morning followed suit, sending the stock up 10% today. Stay tuned for further updates across MedTech throughout earnings season. The Waters earnings call this morning registered an Amenity Score of +40 (scale -100 to +100), up from 25 last quarter. The overall average last quarter was +20. 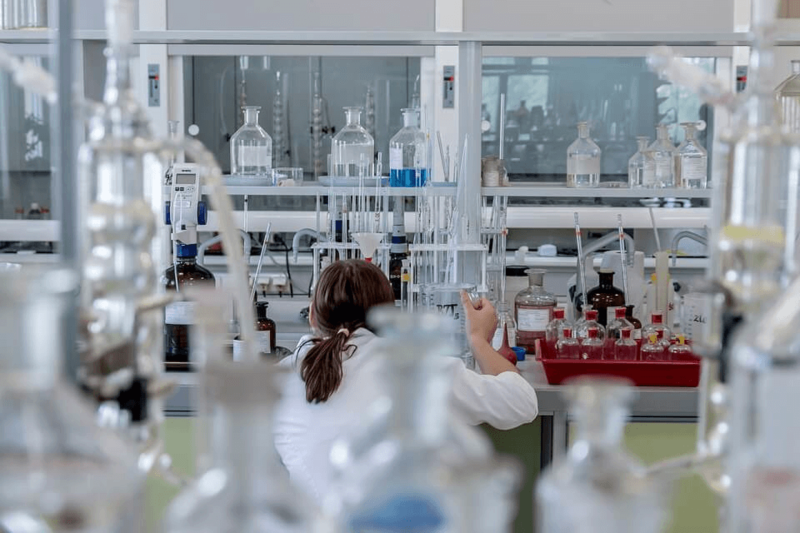 The earnings sentiment analysis shows that the bullish China theme for MedTech is intact and stands in stark contrast to other sectors such as Consumer or Industrial. "Asia, our largest region in terms of revenue, was up 9% in the fourth quarter on strong double-digit growth in China as well as great performances in Korea and Japan." "The industrial business was a little bit softer in China relative to the overall growth rate, but very much led by pharma and academic and government." "Currency translation decreased sales growth by approximately 1%." "...assumes an approximate 1 percentage point negative impact from currency translation." MedTech plays the role of outlier regarding China and Trade as Waters Corp's earnings call was bullish on both. Our earlier analysis on JP Morgan's Healthcare Conference identified MedTech as an industry that was bullish on China.